Looking for a new and exciting way to celebrate your child’s birthday? Here at Atlantic Racquet Centre we offer fun, exciting and affordable birthday parties. No matter if your child has played tennis before or not, they are bound to have a smashing time playing loads of fun tennis games and activities whilst possibly learning something new! Thank you to everyone who attended our Open Weekend at the end of January. We welcomed 188 visitors over the two days who were able to try out our fantastic Tennis and Badminton facilities with both coaching session tasters and free court play available. 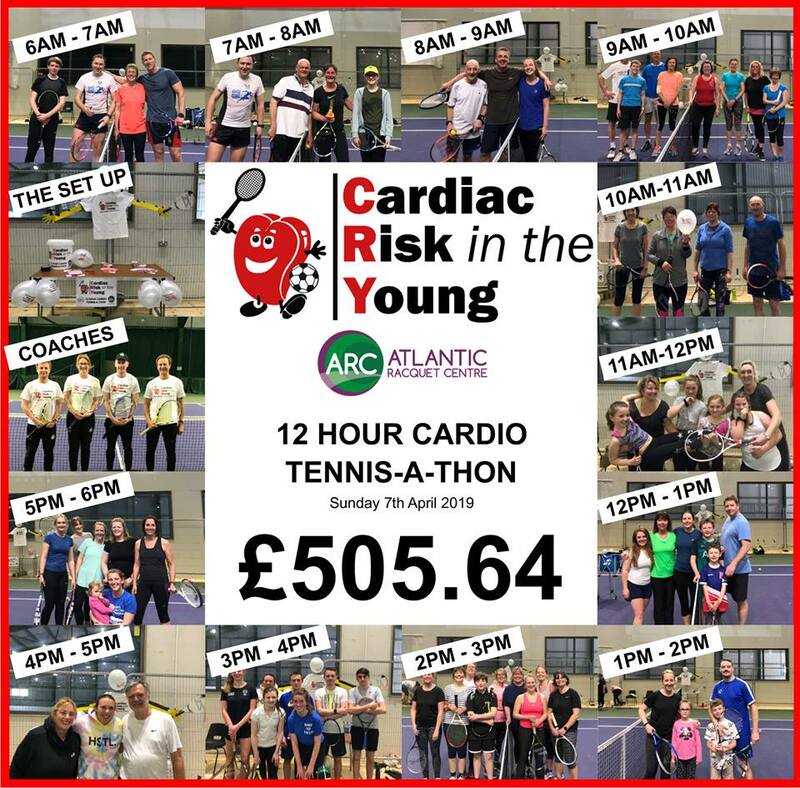 Atlantic Racquet Centre is a Community Charity, which is dedicated to promoting, encouraging and facilitating the playing of tennis and other racquet sports, plus gym and fitness, to benefit the public health well-being of the whole community within Torridge from young to old at an affordable and accessible level. ARC have joined with Torridge District Council to submit a planning application for a mixed development, which includes two brand new tennis courts, a community building, and a children’s play area, all to be located on the existing tennis courts and park site in Westward Ho! It is ARC’s opinion that the proposed TDC scheme represents the best opportunity for high quality tennis facilities to be made available to the whole community in Westward Ho! ARC have no financial commitment to this project, and will not benefit financially in any way from this scheme. They are however prepared to promote the facilities and provide tennis related activities on the two new courts. They are prepared to provide Tennis Coaching for children and adults, holiday camps for local children and holidaymakers, and encourage local schools and other community groups to utilize the courts. ARC Raises £400 for Macmillan at Charity Coffee Morning! Over 70 people took part in the World’s Biggest Coffee Morning on Friday 28th Sept hosted by Atlantic Racquet Centre. As well as helping to devour the fantastic array of freshly baked homemade cakes and savouries, they enjoyed trying out the new badminton facilities and played table tennis and tennis. A huge thank you to everyone who supported it by baking, helping with and taking part to raise £400 for Macmillan Cancer Support. The Surface is complete and the lines are on! Just nets and curtains to go! Click here to check out the pictures! The contractors have finished the resurfacing work and the courts are available again from Saturday 28th October! They will remain temporarily black with white lines until they are repainted in Spring 2018 with the original colour scheme. The full coaching programme will resume at ARC after the half term break on Monday 30th October, and club nights for members of the tennis and sports club will continue as before on Tuesday and Friday evenings. Want to use the courts without purchasing one of our membership packages? No problem. Pay and Play – book your court for just £5.00 per hour. Book here! Tennis For Kids 2017 goes off with a bang at ARC! All after-school and weekend coaching sessions will take place at Bideford College for the next 2 weeks. We’ve recently received the hugely exciting news that our indoor tennis courts will be laid commencing on the 7th October, however the court surfacing company are also resurfacing our outdoor courts at the same time due to a fault in the tarmac which is covered by our warranty. This means that our lovely purple courts will be out of action for at least 3 weeks. All coaching sessions scheduled between 7th October and 21st October will take place at Bideford College. Sessions will still be led by our great coaches and all equipment will be provided as usual. When arriving at Bideford College, please park in the main car park and enter the tennis courts via the large gate to the right of the courts. Do not enter via the main school reception. Toilets and changing facilities are available for us to use. Saturday sessions 9.30 – 10.30am (RED 1, RED 2, CARDIO, U12 DEVELOPMENT 1) – Unfortunately due to a long standing booking at Bideford College the courts are unavailable at this time. Saturday RED 1, RED 2, CARDIO, U12 DEVELOPMENT 1 will take place at the earlier time of 8.30am – 9.30am for the next 3 Saturdays. Apologies for any inconvenience caused by this unavoidable change. We apologise for this information being sent out at such short notice. As if often the case with building works there were complications meaning that we did not get the final dates for re-surfacing until this week. Please note that Tuesday morning Cardio Tennis will not run until the courts are re-opened. Many of you will now be aware that the outside courts at the centre have been scheduled to be re-laid under warranty during October. We have now received confirmation from the specialist contractor, Chiltern Sports, of their planned programme. Work will commence on Saturday 7th October. All courts will be unavailable at the commencement of these works. We anticipate the courts will remain unavailable for three weeks. Courts 5 and 6 should become available week commencing 30th October, in the following two weeks the remaining courts will be completed. This schedule is entirely weather dependent, adverse conditions will delay the programme. We will notify you, through the website and Clubspark, as and when the courts become available. On completion of the resurfacing works the courts will be left black with temporary lines painted on them. They will be fully painted in Spring 2018 with the current colour scheme. The contractors will also commence work on laying the indoor tennis courts in October. We anticipate these will become available in January 2018 and plan to offer table tennis and badminton next year as well as tennis. We will keep you informed of progress through the Autumn. Separate arrangements are being made to ensure the planned coaching programme can continue by using courts at Bideford College and Westward Ho! Tom Vinall is leading on this and will update those affected. We apologise for any inconvenience the closures may cause. The trustees are pleased to welcome Tom Poole to the growing team as Apprentice Club Coach. Tom started on 11thSeptember and will be working 30 hours a week initially assisting with a variety of sessions across the full programme under the leadership of Tom Vinall, Head Coach and Sports Development Officer. Tom is from Barnstaple and has represented Division 1 side Braunton A in the summer league for several years. 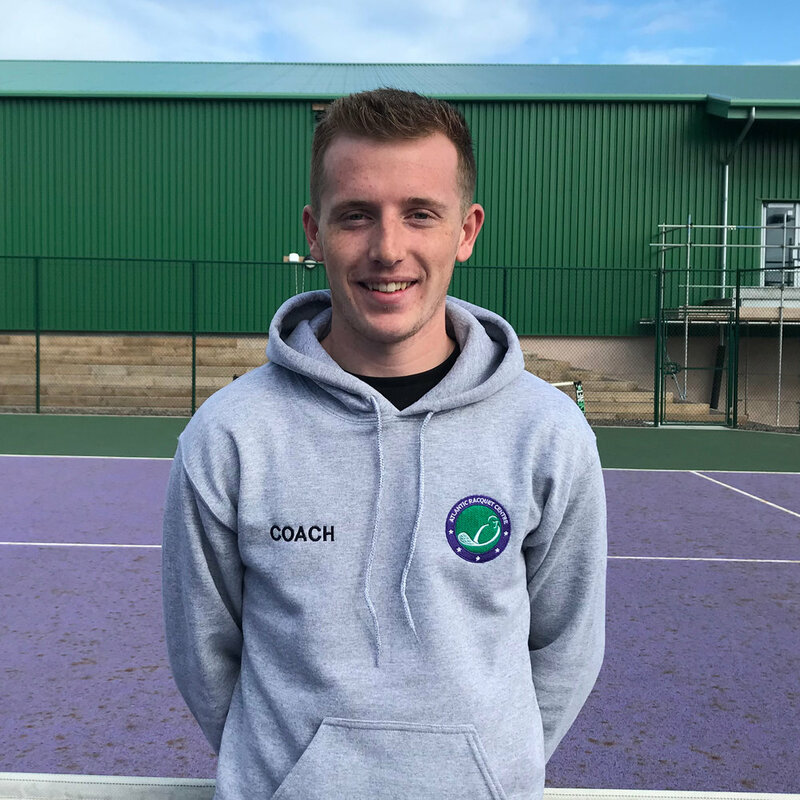 He has worked part-time as an assistant coach at Tarka Tennis Centre whilst completing college and joins us as a Level 1 Assistant coach. Over the next year he will complete both his Level 2 and Level 3 coach qualifications. Many will have met Tom before either at our annual tournament or out on court in the summer league. His hours are mainly in the afternoon and evening so you may well meet him soon; please introduce yourself and offer him a warm welcome to the ARC family. The trustees are pleased to announce the appointment of Lottie Koval to the full time position of Community Club starting in late July. She is already a very popular member of the part time coaching team for mini reds and following the successful interview process she will work closely with Head Coach Tom Vinall to continue to grow and develop our exciting programme. Lottie will lead on specific projects such as targeted schools outreach and competitions. Having played tennis at the club since her junior days, she is now an A team player. This year Lottie won the Devon LTA Young Volunteer of the Year award and went on to win the South West region Young Volunteer of the Year, as a result she will represent the region at the national awards yet to be held. On Friday 9th June, 60 children from Year 6 at St Margaret's visited ARC. Following on from Tennis Tom's outreach work in school, they chose to come to the tennis centre for an afternoon as one of their Leavers trips. They had a great afternoon with a fiercely competitive doubles competition and fun coaching games. Every child joined in and had great fun and amongst the winners were two children with disabilities who had never won anything in sport before. Inclusion at it's best, thanks to ARC. Over the winter of 2016/2017 our Ready to Rally Reward Cards kept our loyal players turning out in all weathers! Now that the sun is shining, most of us have collected our 15 stamps and got our t-shirts - and boy aren't they looking so cool! Try tennis for free at our awesome free open day on Sat 13th May 1:30 PM to 5:00 PM. Free sessions from Tots tennis to Rusty racquets, we've got something for everyone whatever age or ability. With music, a tasty BBQ and guaranteed sunshine - it's bound to be a fantastic day. Special 50% off offers for all those who attend! Grab a racquet, grab a friend and have some fun at Atlantic Racquet Centre for free! These nationwide awards help to recognise and honour those people and places that make your experience of our sport that much better. Struggling to know what to get them? Why not treat one of your loved ones to one of our fantastic Christmas gift ideas!